Assessments – Before we even talk to them they will have taken an assessment. We use the Objective Management Group Confidential Candidate Screening. 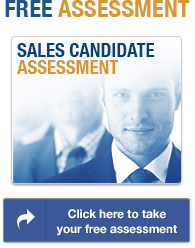 It is the only sales executional assessment available. With 96% accuracy, it will predict what sales behaviors a candidate is capable of executing on. We also use TTI’s TriMetrix assessment to evaluate their talents, motivations and behavior. Screening Phone Call – Use this to validate if they meet minimum job requirements and evaluate how they interact and sound over the phone. First interview – Preferable in-person or via Skype. I’m exploring the assessment findings and work history. Second Interview – Needs to be in-person. I’m exploring cultural fit and their beliefs about how the job they are interviewing for should be done. Third Interview – Demonstration on their ability to execute on the top three results criteria for the position. As an example if the job demands that your salespeople discover opportunities, create some framework around the problem and possible solutions, write a proposal, present the solution then gain commitment of moving ahead with them. How would you get your sales candidate, other than tell you, demonstrate they were capable of executing on those competencies? If you still have questions or concerns have someone other than yourself conduct the third interview. The other person can be more objective and it gives you a chance to sit in on the interview and be a third party observer. People will reveal who they are over time. Chunking the process out into separate steps with specific objectives gets them to reveal more of who they really are. Take the time. Through a series of interviews and assessments, we have a pretty good understanding of whom we are dealing with and what they are capable of doing. We rarely get stumped. 2. The best you will ever see of a person is when they are interviewing. 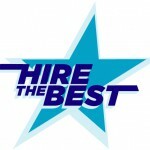 When a candidate interviews, they are at their best. If you don’t like what you see, pass on them. You need to pay attention to how they communicate during the interview process; the questions they ask; the follow-up; how they dress; how they adhere to or follow your process; their research or lack thereof prior to the interview, etc. Remember, you are seeing them at their best. The same goes for you. 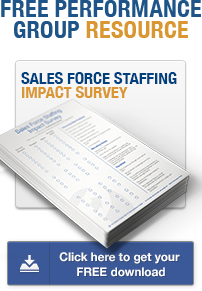 Top performing salespeople consistently tell me they base a majority of their decisions on how the hiring manager, human resources, and company leadership communicate and respond to them during the interview. The reason is because they believe the way you act during the interview is the way they will be treated when they become your employee. 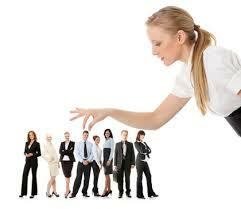 If you want to attract top performers, do what you expect them to do. 3. Factor in the level of difficulty the position demands when you are interviewing. 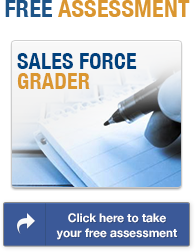 Difficulty in a sales role is measured by the amount of resistance the salesperson will receive from prospects. If it is an account manager role and they are tasked to maintain the accounts assigned to them, they would encounter little resistance. Here are situations where resistance increases. Which ones apply to your position? 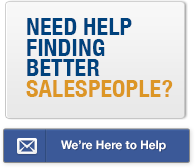 The salesperson has to generate his/her leads. 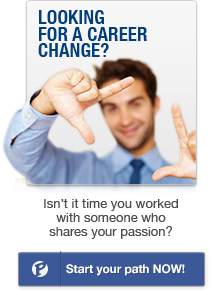 The salesperson is required to increase new business by more than 10% annually. If it is a new territory, will there be resistance to the product, the brand, and your company? Will they have to get prospects to break existing vendor relationships or will they be asking them to add you as a vendor? Is there an entrenched good competitor? Is there an aggressive low price competitor? Is cross-selling a new product a requirement? You are having them introduce new and/or untried products. You consistently have employee turnover in that territory. You are positioned as the quality leader and your price, as well as your value, is higher than the competition. All of these situations add resistance. 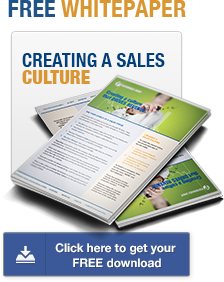 The more resistance the more resiliency is required in the salesperson. Do you have a reality check on the level of resistance your salespeople encounter and how are you evaluating the resiliency of your candidates? In the cases where we are looking for candidates that we know are going into a high resistance job, we add a second assessment in our evaluation of them. In addition to the OMG Salesperson Candidate Assessment, which evaluates what parts of selling they are able to successfully execute, we use the TriMetrix assessment. It identifies what motivates them, at a core level, and how developed their talents are. Combine the two assessments and you’ll have a clear picture of their resiliency. I have learned that a majority of the top performing salespeople have limited interviewing experience. Typically, they seek out and only interview for the positions they truly want. They have rarely interviewed and simply transitioned into their next job. Typically, these people are in the top 10% in their field, have a track record of success, are well compensated, know what they are doing and know what they want. Because they find their own opportunities, they rarely show up in your candidate pool and therefore, it is rare for you to have interviewed one of them. 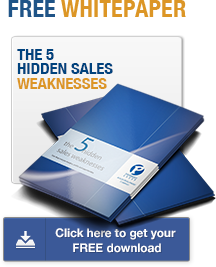 I have had the unique experience of interviewing a lot of these top salespeople because I went out and found them. I learned that they have beliefs and attitudes that are different than other candidates and they have different answers and insights than most. For example, I interviewed a top 10% salesperson last week. I asked him how he kept score. Why did I ask this specific question? It’s because I have learned from interviewing hundreds of these top 10% salespeople that they all keep score – it is a top 10% trait. He responded by asking, “What are you asking about? How I track my results or activities?” The fact that he asked a clarifying question already gave me his answer. We discussed what he tracked. Then, I asked him why he tracked activities and results. He stated, “When your boss calls you Friday at 5 p.m. and asks how your week went, shouldn’t you have specifics for him? Isn’t it your job as a salesperson to track what you are doing so you know how you have done and what you need to be doing?” His response to this one question alone did not validate he was one of the top 10%. It was his answers to the dozen other “top 10%” questions I asked him along with the other forms of evaluation we use during the screening stage of our process that told me he was. The most effective way is to find out what the top 10% in your industry thinks, believes in, and does and then, formulate questions based on their answers. Please don’t pull these questions from the latest best selling “how to interview” book and stop using your pet questions unless you have validated them. This requires research and trial and error. First, you have to find the top people, and then you’ll have to question them beyond their surface answers because quite honestly they have unconscious competencies in their key skill areas – they don’t know how they do it, they just do it. You get answers like the one Wayne Gretzky gave when asked what makes a great hockey player. He stated, “Skate to where the puck is going to be. Not where it has been.” Really, if I had only known I too could have been an NHL All- Star! What is obvious to the one with talent, is not so to others. I have had the opportunity to recruit, hire, onboard, train and mentor a lot of top salespeople in my career. In 2009… in the depth of the Great Recession… I decided to conduct some field research on how to maintain revenue during a recession. I had lunch with one of my former top performers. When asked how she maintained her sales revenue in 2008 and 2009 while her peers and competitors were experience 20-50% decreases, she said, “If you listen to what people say they will tell you how to sell them.” Again, if I had only known! She was also one of the few salespeople I ever hired who brought in agreements drawn up on a napkin from the lunch she just had with a prospect. She did not always need formal proposals or agreements; sometimes napkins were fine. Try teaching that skill. The point is you can’t. But what you can do is observe how top performers think, what they believe in, and what they do in order to be consistently successful. You can then take what you learn and formulate questions that will help you identify if your applicant is a top performer. What do you want to do in your life? Make money, make a difference, or make a name for yourself? You can only pick one. Best answer: Make money. Do you do the best you can or whatever it takes? Best answer: Whatever it takes. How do you know when you are doing a good job? Best answer: I just know or I look at my numbers. Every top producing salesperson I have ever interviewed has answered all three of these questions the same way and without hesitation. I have achieved what researchers call stable data. What are your top producer questions? Do you know what a good response is to your question as well as a bad one? Do you consistently ask the same questions to every candidate? The final criterion most people use to hire someone is their gut feeling. It just feels right. Gut reads are important, but at the same time how often have you hired with or against your gut feeling only to have it turn out wrong? That gut feeling you had turned out to be nothing but gas. Whether you are the only person doing the interviewing and hiring or you have several people involved in the hiring process, a good validation practice to develop is one by which you evaluate your applicants against a scorecard. 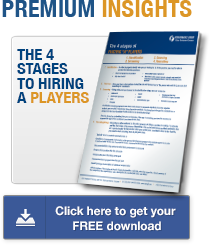 Develop your matrix around what is critical for success in the role. Generally, this can be categorized around crucial job or career experience, knowledge, formal education, certifications, culture fit, skills, communication style, teamwork, knockout factors, etc. I always try to keep my scoring on a scale of 1 to 4. If it is 1 to 5, people default to scoring 3 more times than they should. Scoring 1-10, you run in to the same indecision that drives people to pick 5 too often, and differentiating between 10 points is a little overwhelming. Having to pick a number between 1 and 4 forces the evaluator to be more objective. These strategies have served me well over the past 35 years and continue to today.